Rubber Room Ramblings: CIRCLE CIRCUS! This is the card Caroline shared with us at our Demo Night get together. She used the Circle Circus stamp set and the Pumpkin Pie paper and ink. 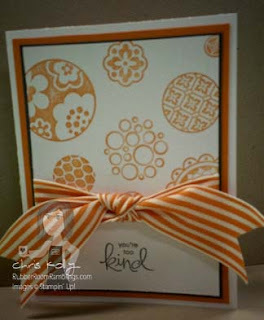 Then she used the 1 1/4" Striped Pumpkin Pie Grosgrain Ribbon to accessorize her card perfectly! A FLOWER FOR ALL SEASONS! EXTRA LARGE BIRD PUNCH WITH BIRD ON A BRANCH! 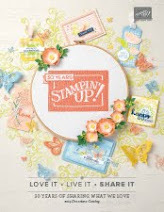 ONE MORE "FOR THE BIRDS CLASS"
MORE SWEET PEA DESIGNER SERIES PAPER! WHITE ON WHITE ON WHITE! SWEET PEA DESIGNER SERIES COASTER BOX! 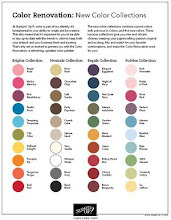 SWEET PEA DESIGNER SERIES PAPER!